As far back as I can recall the Far East has always held a special place in my heart. I grew up on 'Monkey' and Ninja films, that could have something to do with it! 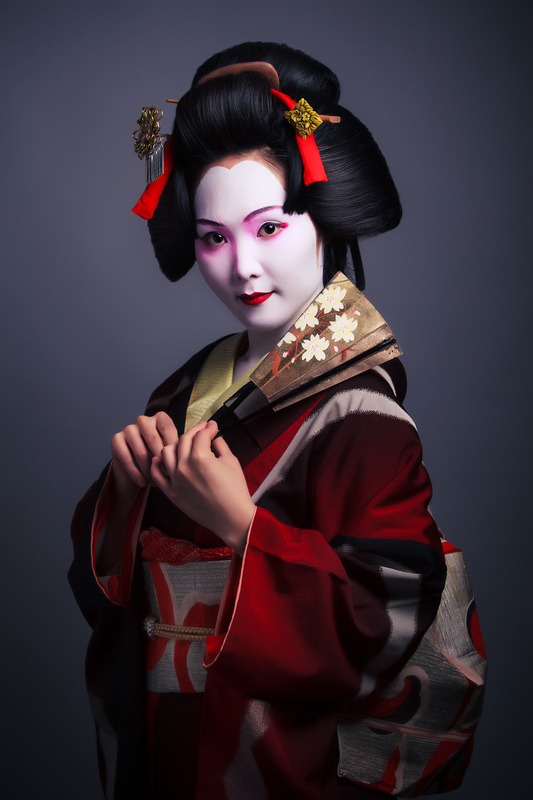 I have been longing to photograph an authentic geisha look for quite sometime. 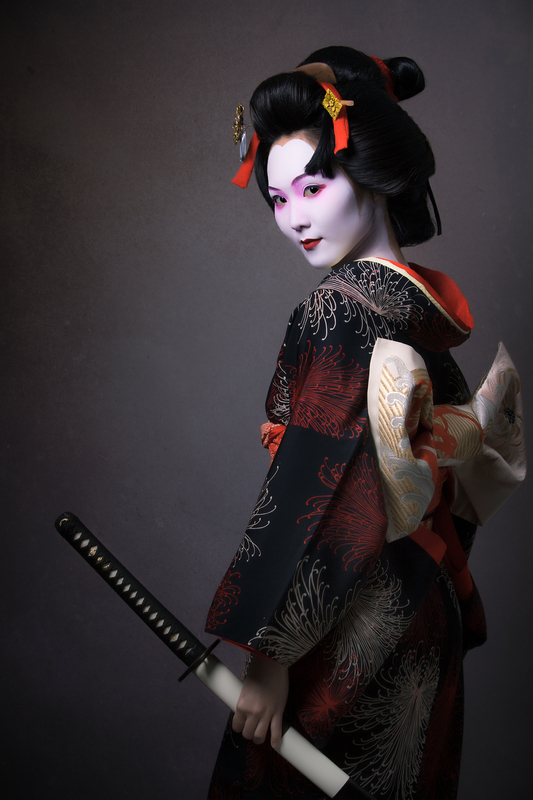 I find the culture iconic, bold and so different to the western world. 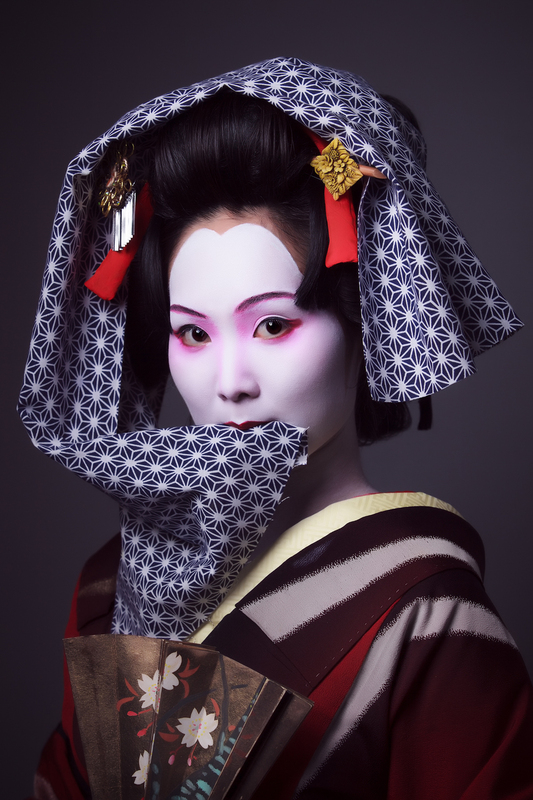 On a previous photoshoot I worked with the fantastic makeup artist - Sean Chapman, and on another shoot a Japanese model - Mai Osuga. All I needed to do now was convince them to collaborate on this shoot. Luckily they didn't take much convincing - in fact, they both jumped at the chance. Sean has a wealth of knowledge that we were able to pull from and also knew Fuji Kimono, who supplied us with the authentic kimonos. All I needed now was a studio. My usual studio was not available, so I contacted Phillip at Velvet Goldmine, in the centre of Brighton, and he happily made room for me to shoot there. I had not been to Velvet Goldmine for about a year and I was pleasantly surprised to see how it had improved. Boasting more lights and modifiers than I would ever need. Of course that meant I wanted to play with them! But no time, we were already behind schedule. 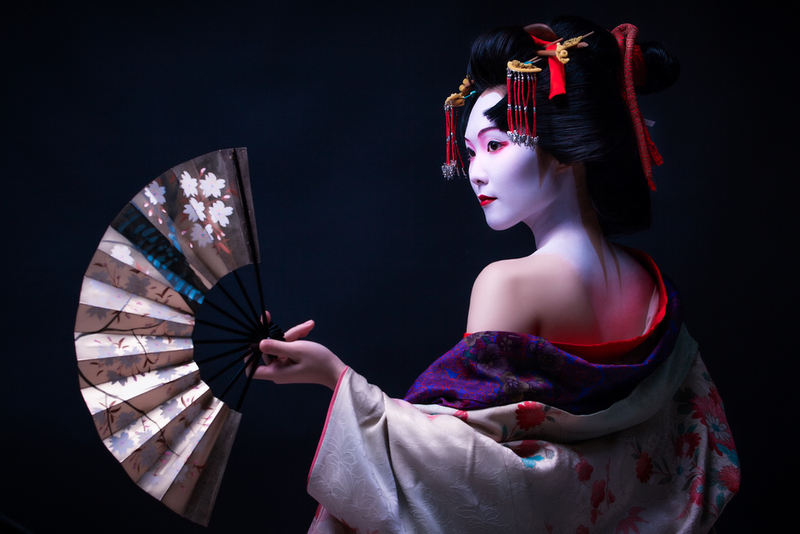 Mai was dressed in her first kimono and the hours of makeup had been taken care of, so I quickly setup the lights and let Mai do her thing. 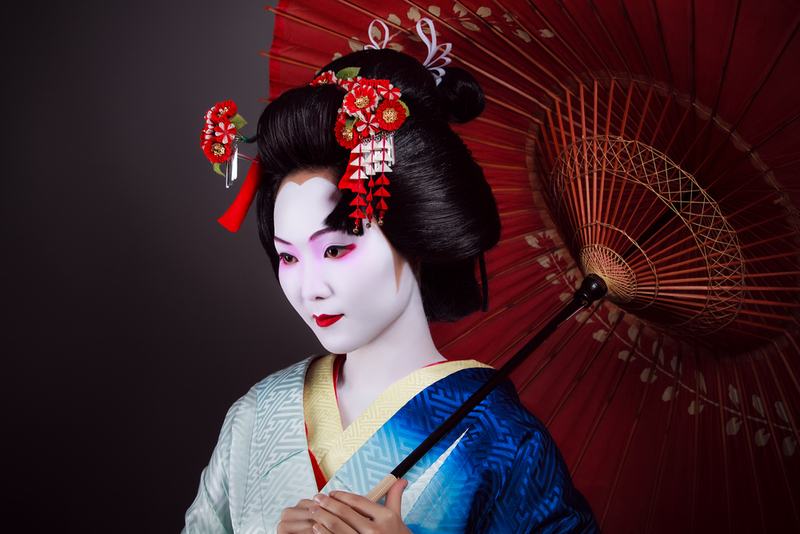 We managed to get through four Kimono changes - which is no easy task. For each one we brought in a different prop, opted for a slightly different attitude and changed the lighting to make each set unique. 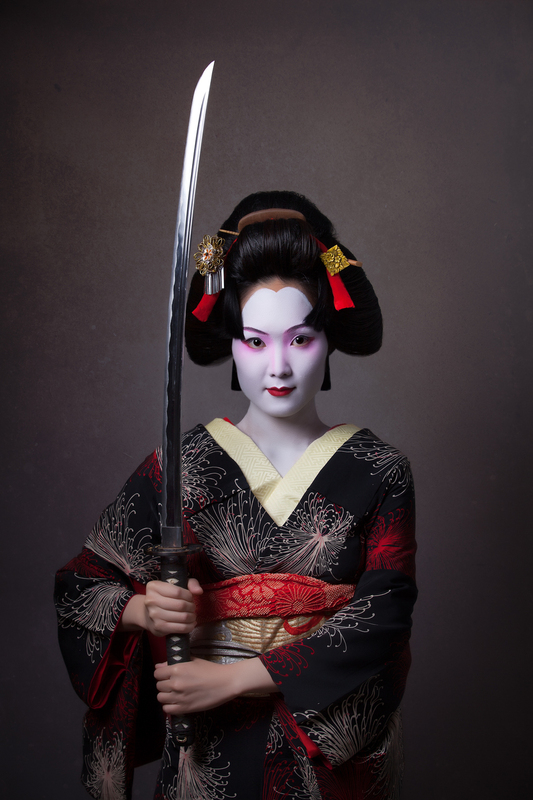 The props we had at our disposal were a fan, a Japanese umbrella and a genuine Samurai sword (my favourite). 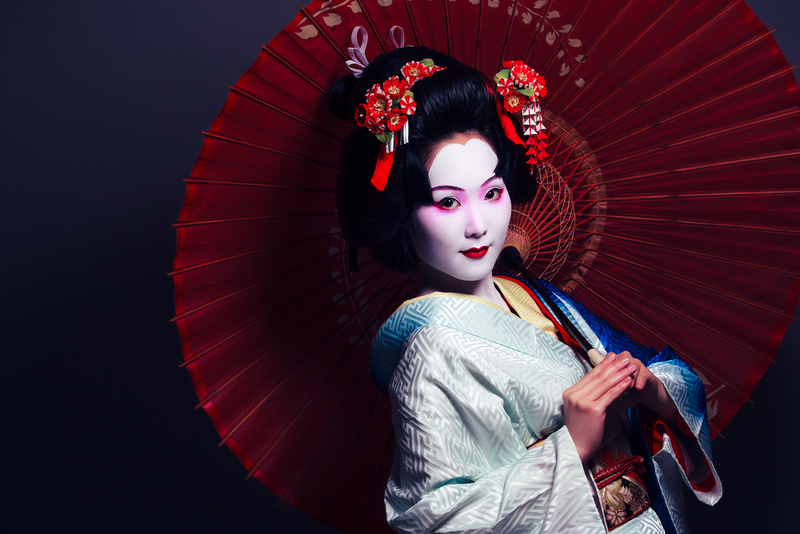 I would appreciate any comments, as these kind of shoots are a lot of work and collaboration by all parties. I genuinely feel these are my best portraits to date. I would like to thank all those involved and I look forward to working with you all again in the near future.